A couple of Samsung Galaxy S9 owners reported that their devices turned off without any obvious reason or cause, the screen stays black or blank and the phones no longer responds. This is another case of Galaxy S9 Black Screen of Death (BSoD). BSoD is a common problem across Android platform and you may be able to encounter it from time to time but the thing is it's not really that serious as long as your phone doesn't have any signs of physical damage. More often, it's a result of a firmware crash and there's a very easy yet effective solution for it--Forced Reboot. Press and then hold the Volume Down rocker. While you're holding down the Volume Down button, press and then hold the Power key so that you have both keys held down together. Continue holding both keys for 10 seconds or more. 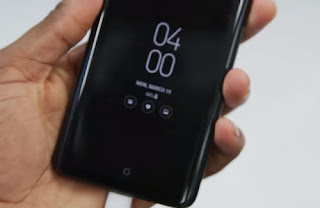 Your Samsung Galaxy S9 should already be booting up now provided there's enough battery. If it doesn't, charge the phone using the wired charger and then repeat the process above while the phone is connected to its charger. If your phone doesn't respond after doing these procedures, then it's time to bring it back to the store because obviously the problem is not as simple as I thought it would be.